Tauderma’s research teams, with their experience in the pharmaceutical industry and biotechnology, are advancing the development of assets for the cosmetics of tomorrow. Rigorous scientific approach that substantiates the claim! We work on a Targeted Product Profile (TPP) basis, a rational approach employed by a modern pharmaceutical and biotech industry. It means that on the basis of a relationship between the targeted cosmetic effect and current advances in biological science, we develop a coherent set of tests, from in vitro to in vivo, to identify extracts for a specific indication. This approach provides a clear and tangible focus and generates hard translational data to build on and to support the future claim for the finished cosmetic product. We are based in the Swiss Health Valley, an international pole of excellence in bio-pharmaceutical and medical development. Our expertise ranges from the development of highly selective molecular screening processes, advanced extraction technology to a rigorous pre-clinical and clinical development of our products. This process of developing new active principles is based not only on our internal skills (botany, biology, pharmacology, dermatology) and on our professional experience, but also on privileged relations with academic institutions and subcontractors specialized in toxicology, regulatory affairs and clinical development. This allows us to create new, innovative and patented extracts that provide differentiation in the cosmetics market. 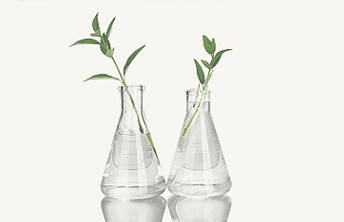 The technologies developed by Tauderma have led to the development of exclusive extraction processes, specially designed to guarantee the purity and safety of our plant extracts and their active ingredients. In partnership with the most prestigious Swiss academic institutions we have developed a solvent-free extraction process which guarantees the preservation of the active ingredients of an extract, thus making it the ideal component of a cosmetic line with high added value. All our extracts are tested according to the current legal and regulatory provisions and are subject to strict quality controls. The founders of Tauderma are renowned doctors and scientists who have made their careers in the high-level healthcare industry. The expertise and methodologies employed within Tauderma are directly derived from this experience. The rigorous scientific methods deployed throughout the development processes and during the production of its assets place Tauderma in a unique position in the field of cosmetic extracts. A constant research effort carried out within Tauderma since 2014 has allowed us to study 120 alpine plants and to already select several of them on the basis of a precisely defined TPP. Also, this largely unexplored plant library offers an extraordinary potential for the discovery of new effective extracts. 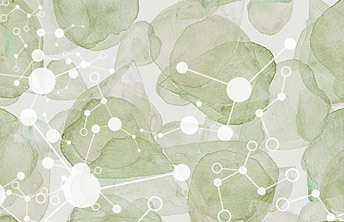 Active ingredients are often only a small percentage of the finished cosmetic product, however it is that percentage that makes the difference by delivering unique performance benefits. We believe that only innovative active ingredients with a proven efficacy/safety profile can bring added value to the future cosmetic products. We only work with plants certified by Bio Swiss www.biosuisse.ch and provide preservative-free extracts, thanks to the use of cryogenic techniques. The production of our extracts is carried out under strict scientific control at all stages, according to internal procedures modeled on those very demanding ones of the healthcare industry. This approach meets the increasing demands of both regulatory agencies and consumers in terms of safety, efficacy, technology and respect for the environment. All our products meet the European legal standards for cosmetic use. 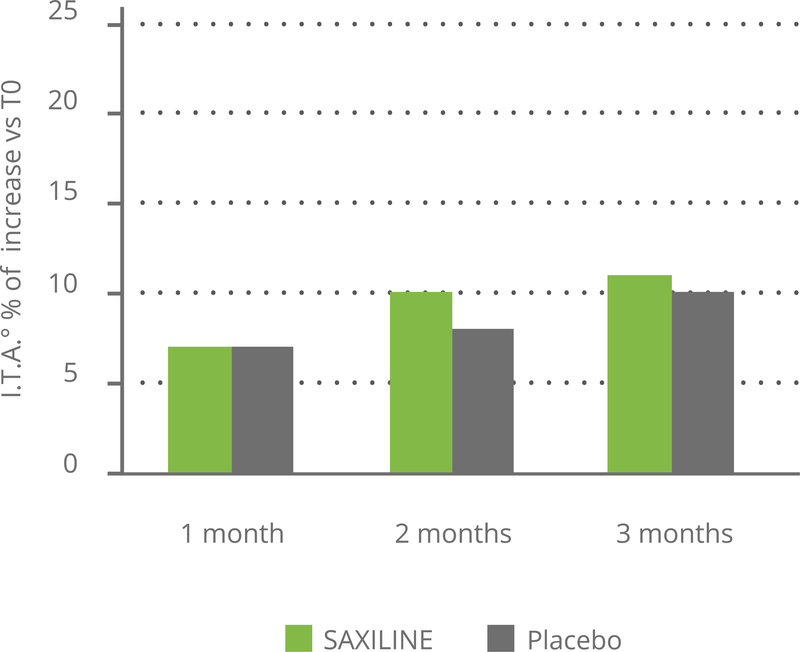 A remarkable effect on pigmented spots was demonstrated in a double-blind, placebo-controlled clinical trial. 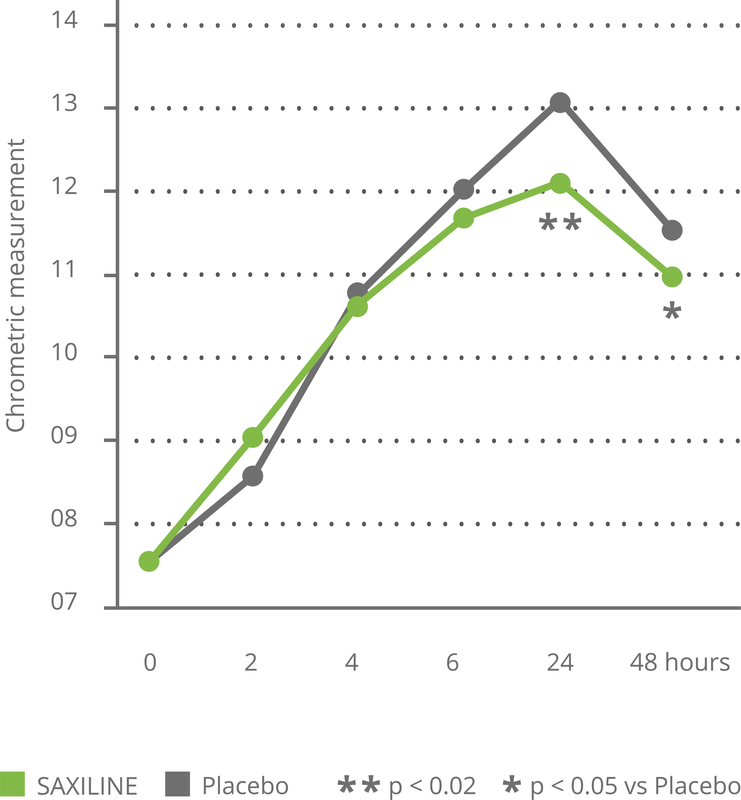 The benefit compared to the placebo cream was already observed on the colorimetry tests on day 28 and the superiority was statistically significant at day 56. No adverse effects were reported (see chart below). SAXILINE reduces the brown color of skin dark spots without affecting the color of the skin around. To our knowledge there is no ingredient which has this specific effect as all the others whiten both the spot and the spotless area leading to an increase of the visibility of the spots. This effect, visible already after 1 month, has been measured using specific instruments (colorimetry) in a placebo control clinical study. In vitro, SAXILINE showed a statistically significant inhibitory effect on the production of elastase and collagenase induced by UV exposure of human skin explants. In a clinical trial, SAXILINE demonstrated a statistically significant effect on the parameters of skin deformation induced by an air jet (surface, depth and volume) after one month of application of our cream compared to the parameters measured before application. 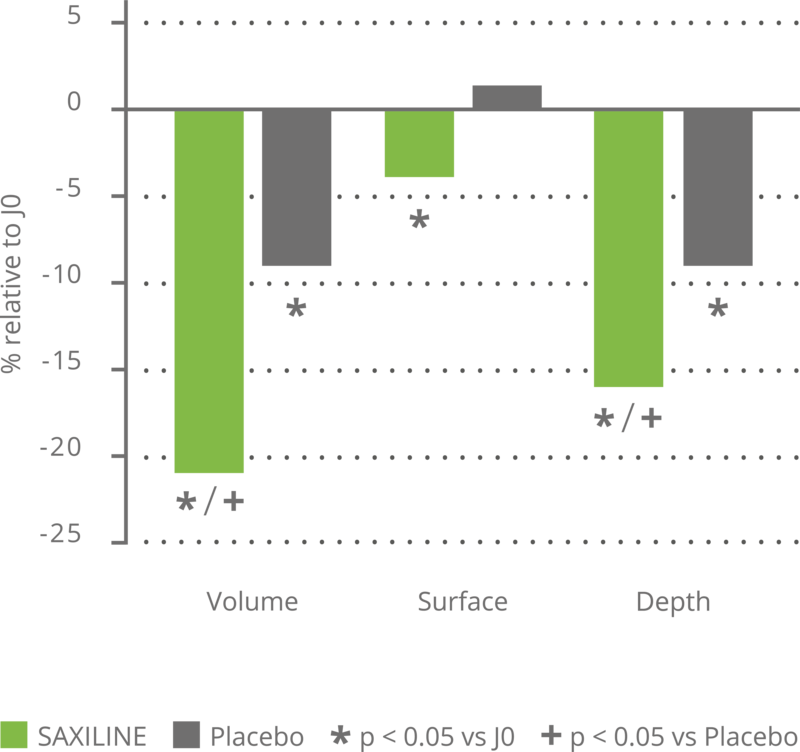 In addition, SAXILINE showed a statistically significant superiority compared to the placebo for the two depth and volume parameters related to skin firmness (see chart below). 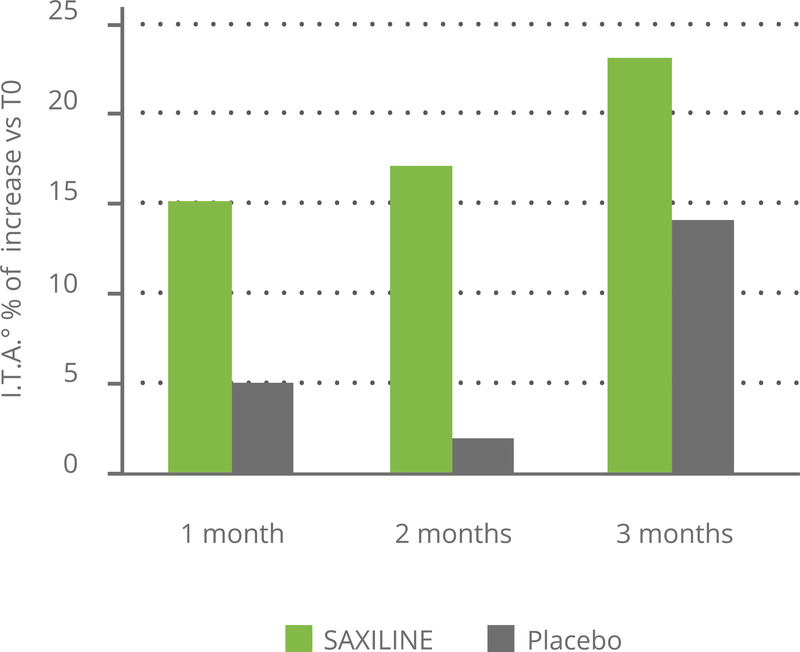 In another placebo-controlled clinical trial, SAXILINE showed a statistically significant superiority over placebo by markedly reducing UV-induced erythema. The soothing effect on irritated and reddened skin was observed after 6 hours and maintained a statistically significant superiority over the placebo at 24 hours and 48 hours after initiation of treatment. No adverse reactions have been reported (see chart below). 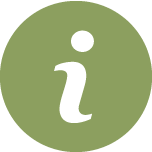 Our teams remain at your disposal for any information on the integration of Tauderma’s extracts into your cosmetic line. Eduard Vidovic · CEO · Eduard has more than 17 years of experience in the pharmaceutical and biotech industry, ranging from clinical development and medical affairs to fundraising and corporate restructuring. 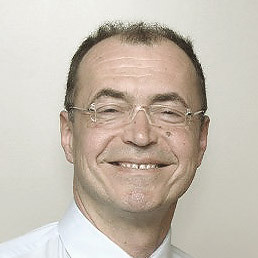 Eduard graduated from the University of Zagreb and holds a PhD from the University of Geneva. Prior to cofounding Tauderma, Eduard was Medical Director at Synthelabo Pharma, Head of Medical Affairs at Sanofi Aventis and Chief Medical Officer at Creabilis, a specialty dermatology company. His career spans both private and public sectors with 10 years of clinical experience as a consultant at the University Hospital of Geneva and at the Hospital de La Tour. He holds the ECMP / FMH title of specialist in pharmaceutical medicine. Vincent Mutel · Chairman of the Board and CSO · Vincent holds a PhD in Biochemistry & Pharmacology from the University Paris VI Jussieu, Paris, France. He has extensive business and scientific experience across the healthcare industry. 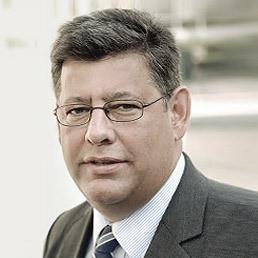 Prior to cofounding Tauderma, Vincent was a cofounder, CEO and vice-chairman of the board of Addex Pharmaceuticals, a biotech company which he successfully brought to the IPO on the SIX Swiss Exchange in 2007. He was formerly Head of the Pharmacology Group and Director of the R&D Department at Roche. Silvia Scherer · Marketing Manager · Silvia has spent her entire career in sales and marketing of pharmaceutical, medical and cosmetic products. She also participated in the creation of companies specializing in medical devices and cosmetics. 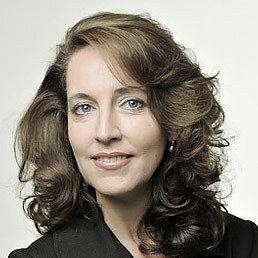 A graduate of the University of Landau in Natural Sciences, Silvia started at Glaxo before joining Novartis as Sales Manager for Germany and then became Head of Europe for the Ophthalmic Division of the Hoya Group. After merging her first company with Corneal and launching the Juvederm brand, Silvia cofounded Anteis SA in Geneva, a structure specializing in hyaluronic acid applications. After winning numerous international awards Anteis was acquired by Merz Pharma in 2013. 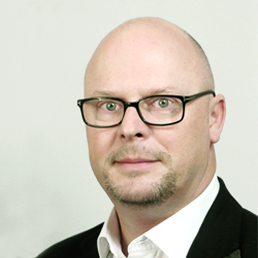 Franck Waechter · Expert in cosmetics, Franck is a graduate of Essec and IMD. He has worked in the commercial development for many brands such as L’Oréal, Givenchy, Guerlain and Valmont and in various markets in Asia and Europe, before devoting himself to supporting cosmetic projects with his agency Modus Operandi International. Tauderma is actively collaborating with a network of prestigious scientific and industrial partners supported by the Swiss Confederation. Tauderma’s scientific partners are at the forefront of R & D, industrial engineering and life science competencies. Their research centers, laboratories and production sites, all based in the Swiss Alpine region, benefit from the latest technologies and are as close as possible to the natural biotope of plants used by Tauderma. Its industrial partner, based in France, combines cosmetic and pharmaceutical manufacturing expertise. PhytoArk is a high-tech business incubator dedicated to developing natural ingredients, and in particular Alpine plants. PhytoArk is part of the foundation The Ark, created by the Canton of Valais to promote the development of companies with very high added value, in the sectors of information technology, life sciences, the environment and energy. PhytoArk hosts Tauderma’s corporate headquarters, as well as its main production site. Tauderma has an exclusivity on screening from PhytoArk’s Alpine plant extract library so that it can isolate and use extracts intended for the cosmetics industry. As a part of the network of the Swiss Universities of Applied Sciences, this center of excellence manages over 1,000 research projects through its 500 employees and 2,000 students. Specializing in the engineering of industrial systems and technologies in life sciences, HES-SO Valais is in charge of the development of the solvent-free and germ-free process developed by Tauderma. A research institute founded in 1988 by the Swiss Confederation, the Canton of Valais and the Dalle Molle Foundation, Mediplant is devoted to the study of medicinal plants and their development. MediPlant, which steers the extraction platform of the PhytoArk incubator, handles the production of Tauderma’s extracts, including the cultivation of plants, the harvest, extraction and packaging of the final extract. Mediplant is also responsible for quality control, through its own laboratories and those of specialized contracting parties. Specialized in the subcontracting of pharmaceutical and cosmetic products, P&B Group, based in France, has an industrial complex and the expertise required to offer brands a complete service ranging from R&D to packaging, as well as manufacturing. P&B Group also has, among others, ECOCERT certifications for the production of organic cosmetics, FDA approval for the American market and the ISO 13485 standard for manufacturing medical devices. It is a partner of choice for the development and marketing of cosmetic products incorporating Tauderma extracts.